Paddle boarding is good for your health. It is one of the few workouts that benefit almost all your body muscles. As many people will confess, it is also a fun sport. For this activity, inflatable paddle boards are a lot more convenient than hard boards. Because of their capacity to be inflated and deflated, they are very easy to store and transport. Besides being compact, they are very light; and therefore, are easy to carry around. There are lots of inflatable paddle boards on the market and choosing one can be a complicated task. These reviews should help you get a better idea of the products and even decide which one to buy. When compiling this reviews, we considered the ease of inflation, stability, ease of transportation/storage, and cost. Although it is made by a lesser known manufacturer, this inflatable SUP is very high in quality. It is 6 inches thick and is double layered to make it even more stable. The product is made of military grade PVC materials. The 15 psi pressure applied further makes this SUP one of the most stable you can ever get. For this reason, the board can be used by beginners and experienced users alike. Anyone under 300 pounds can safely use this paddle board. To increase portability, the manufacturer made the entire product only 22 lbs. If you need to carry it around, all you need to do is deflate it and roll it up. It will only measure 33 inches wide and 1 foot in diameter when folded. It has a neoprene carry handle to make transportation a lot easier. 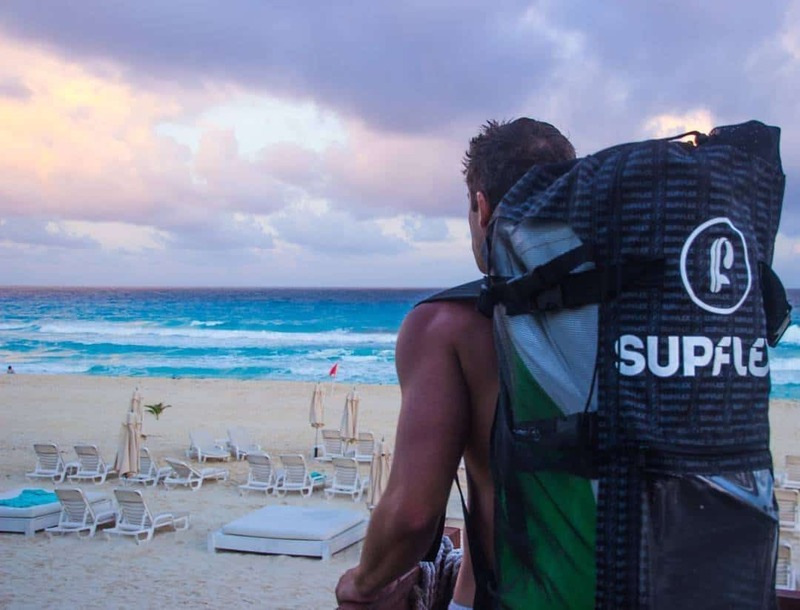 Your purchase will include a Supflex backpack, which fits the deflated board perfectly. Since it is made of military grade PSV material, you can expect the SUP to survive extreme use. The manufacturer believes in the quality of their products so much that they offer a two-year warranty on the material. They also have a 30-day no risk money back guarantee. The deck is made of crocodile skin, and this makes it comfortable for sitting and relaxing. 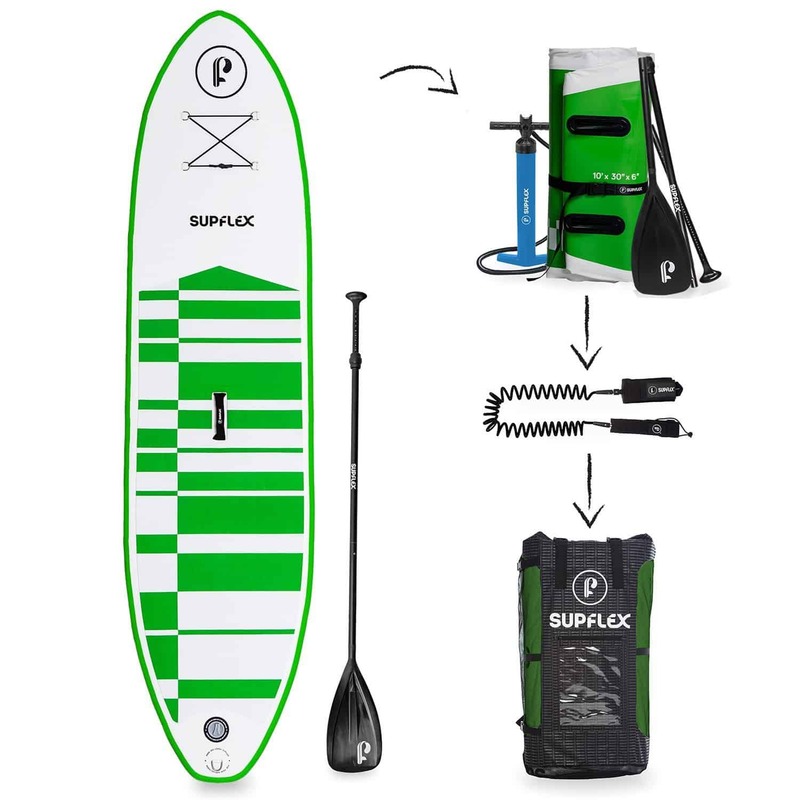 The SUP can be inflated using a high volume pump in just 5 minutes. When fully inflated, the board measures 10’ by 30’’ by 6’’. This SUP particularly stands out because of its design and appearance. It is well built to withstand continuous and excessive use, and also delivers commendable performance. The material used in its construction is military grade. You can expect to own this product for a long time before it starts showing any signs of damage. A triple layer of drop stitch makes up the inside of the board. The entire board is 6 inches thick when fully inflated, and this helps to make the product stable. The board should be inflated to a pressure of 15 psi. The manufacturer provides a double pump that can halve the time needed for inflation of the board. It pumps air in during upward and downward motion and uses two pumps to make the inflating job easier. The board will be fully inflated in less than 7 minutes. Because of its dimensions and thickness, this SUP is very steady when used for paddle boarding. It moves fast and straight, and this makes it an ideal product for beginners. Less stable boards can be very discouraging to amateurs. Experienced users will also enjoy the stability offered by this SUP. The iRocker 11’’ is very fairly priced and should be considered if you have a tight budget. Every purchase is covered by a 2-year warranty on the material. As we mentioned previously, the board is made of military grade PSV. Even under extreme use, the color and form of the board will be maintained. The weight limit is 385 pounds. Since it has a lot of room, you can even ride with your kids or friends. 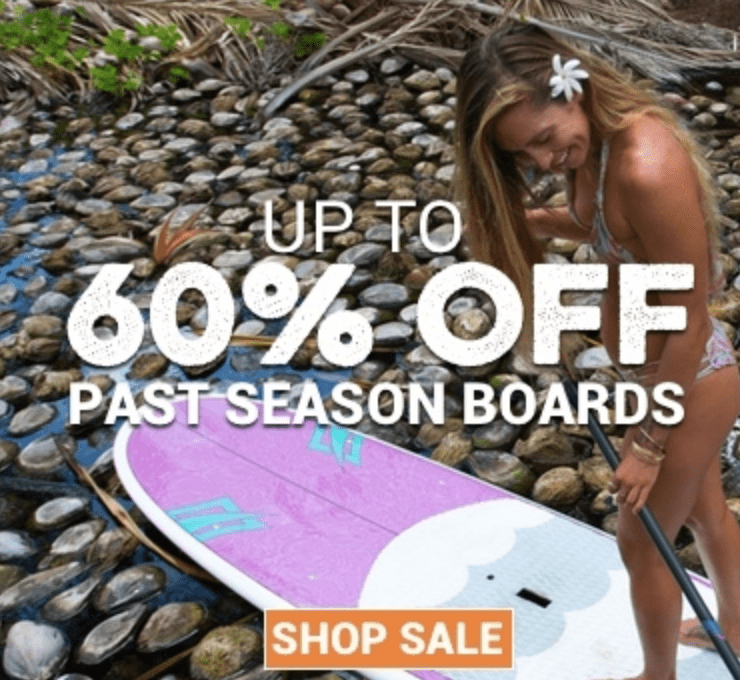 Starboard is one of the well-known manufacturers of paddle boards. 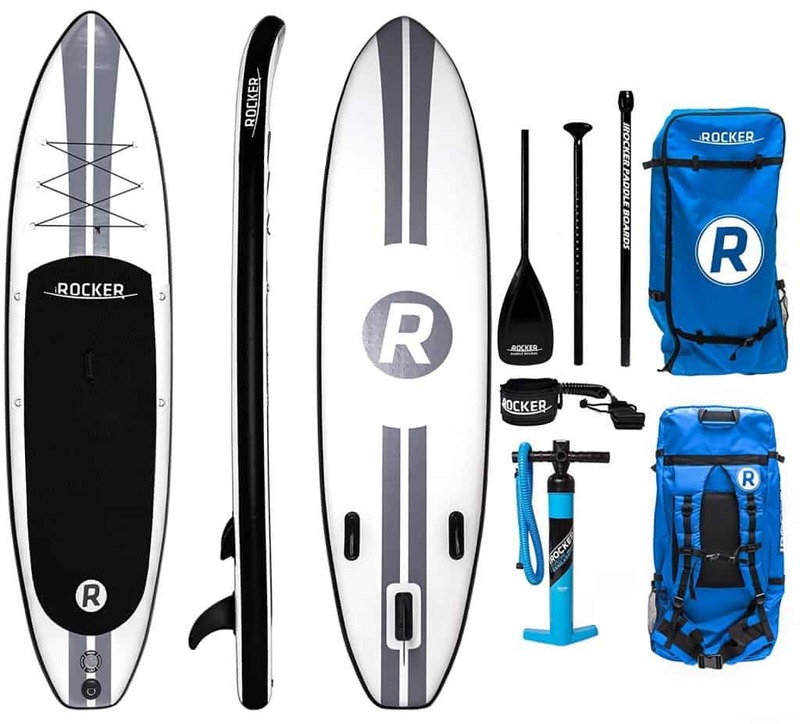 They make both hard and inflatable paddle boards and continuously make improvements to their products. The Starboard Drive Zen is among their best inflatable SUPs. It is quite highly priced and will, therefore, suit people with a lot of money to spend on a board. The construction of this SUP is beyond the industry standards. It is very solid and stable, and its design is also elaborate. The SUP has a 4.75-inch drop stitch construction, and this makes it quite thick and stable. Everything on the inner section is kept in place with an airtight 2+1 rail band. It also has an outer rail band that helps to make the board tougher. On the top of the board is a third rail band that makes the product more compact. Heat resistant glue is used to wrap the whole product, and this means you can spend as much time as possible in the sun. You don’t have to worry about getting your feet sore because of staying in the sun for too long. The croc deck pad is made to have skin texture. It is soft and very comfortable to stand on. The design of the Starboard Drive is very attractive. It features a minimalist look, and the colors are used very sparingly. The board is mainly covered in shades of gray and white colors. A detachable fin is positioned at the center of the board, and two more are permanently fixed behind it. The large fin is suitable for flat waters. Very little effort is needed to keep the SUP in a smooth course and a straight line when the large fin is attached. If you are trying to navigate waves or the ocean, you will need to detach the large fin to allow for freer movement. The only notable disadvantage of this inflatable SUP is the fact that it does not come with a paddle. Also, the board is only 30 inches wide. Beginners will have a harder time using the product because of the narrowness. Inflatable paddle boards are taking hard boards off the market at a very fast pace. 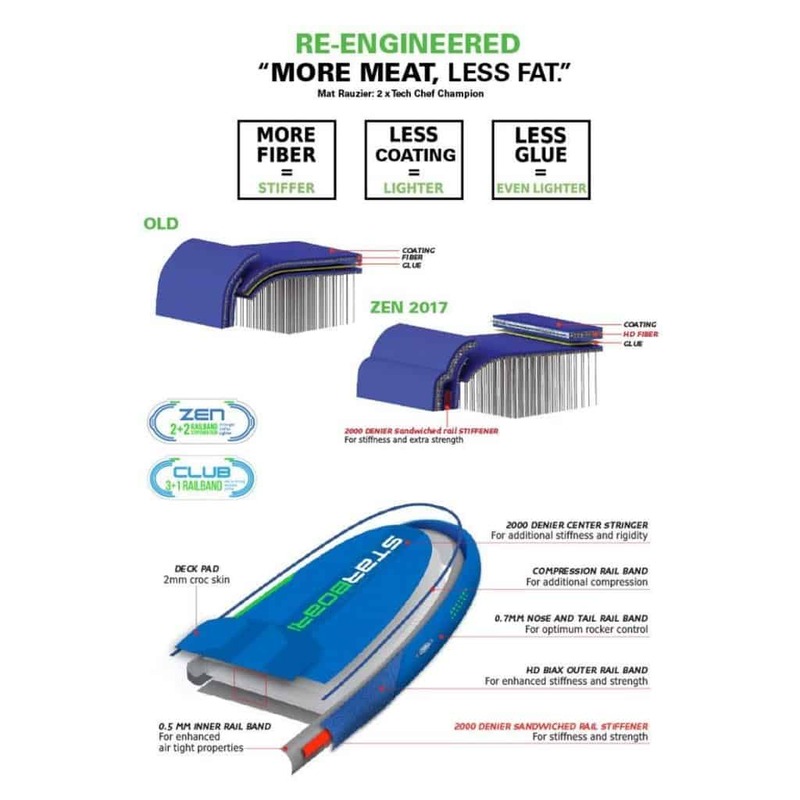 Every year, manufacturing companies make improvements to their inflatable SUPs, and paddle boarders are finding them to be better alternatives to hard boards. There are very many inflatable paddle boards on the market, and the variety can easily confuse you. If you want to buy one of these products, all you need to consider is your budget, level of experience, the quality of the board, and the design of the products. 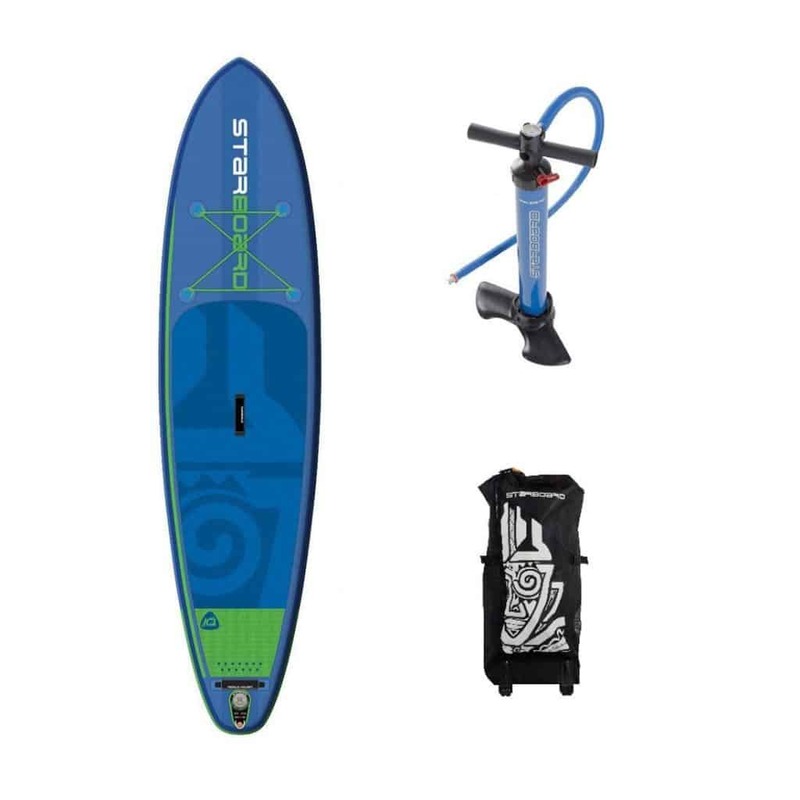 You can consider the three products reviewed here when shopping for an inflatable SUP. 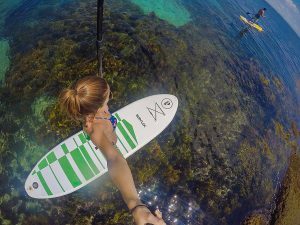 Here are just 3 great inflatable paddle boards to consider for 2017. These are just a few we like with a decent range in pricing. In the end, it comes down to what you want so go with your gut. We just want to help make the decision process just a little easier for you.